When it comes to the perfect spring roll or egg roll dipping sauce, there are all kinds of options. If you're going store-bought, then I like to use a sweet Thai chili sauce or sometimes even just plain soy sauce or a sweet mushroom sauce. If you're going homemade and want something traditional and Asian-inspired for dipping your spring rolls, then this recipe is a good place to start. This basic dipping sauce is quick to make and perfect to serve with egg rolls, any kind of spring roll, or to use as a sauce for stir-fries. Note: All of the ingredients in this simple spring roll dipping sauce are vegetarian and vegan, and, if you need this recipe to be gluten-free as well, just swap out the soy sauce for a gluten-free substitute, such as gluten-free tamari. Bragg's Liquid Aminos would also make a decent substitute here. Next, transfer the cornstarch and water mixture to a small saucepan or skillet, and add the soy sauce (or gluten-free substitute), rice vinegar, minced garlic cloves, and sugar. Gently stir everything together to combine. Heat the mixture over medium heat for 3 to 5 minutes, stirring frequently; the sugar should be fully dissolved and the mixture should start to thicken just slightly. You can add a little more liquid if needed, keeping in mind that your spring roll dipping sauce will thicken slightly as it cools, so you want it to be a little on the thin side when you turn off the heat. 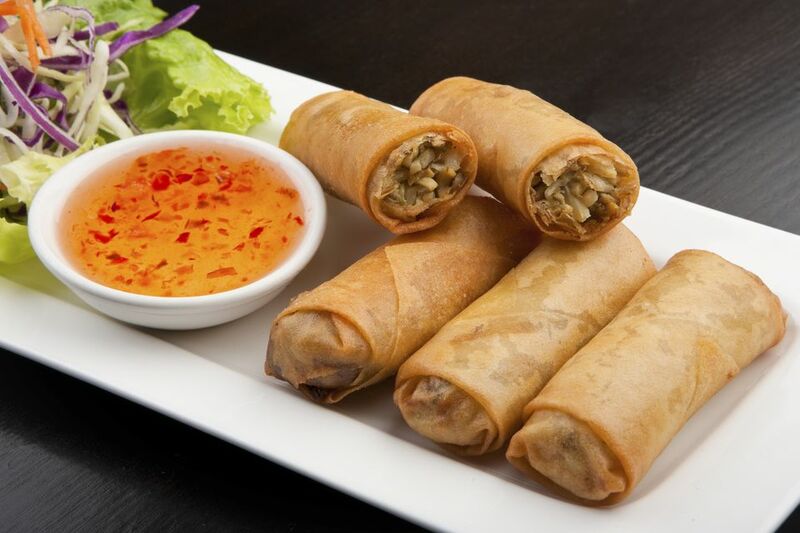 Allow your spring roll dipping sauce to fully cool before serving; it should be served at room temperature or slightly chilled. Best Thai Sweet Chili Sauce - Easy, Too!